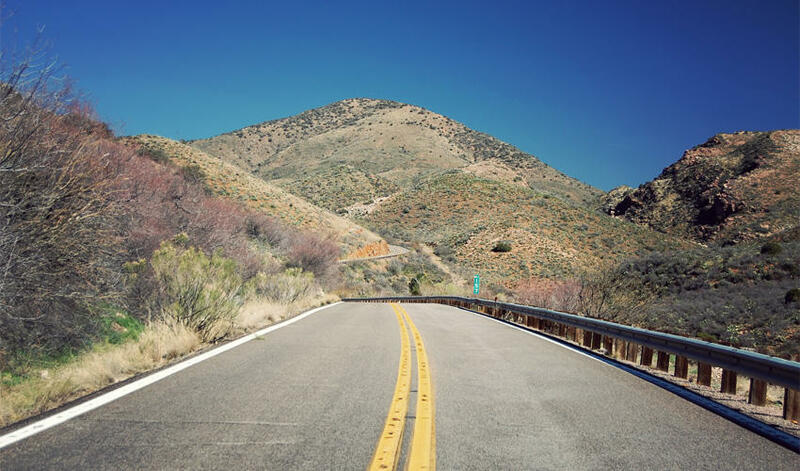 If you are looking for long road bike climbs and are tired of Mount Lemmon, there are always Mount Graham and Kitt Peak. But if you want another, lesser-known climb, there is the road between Winkelman and Globe. 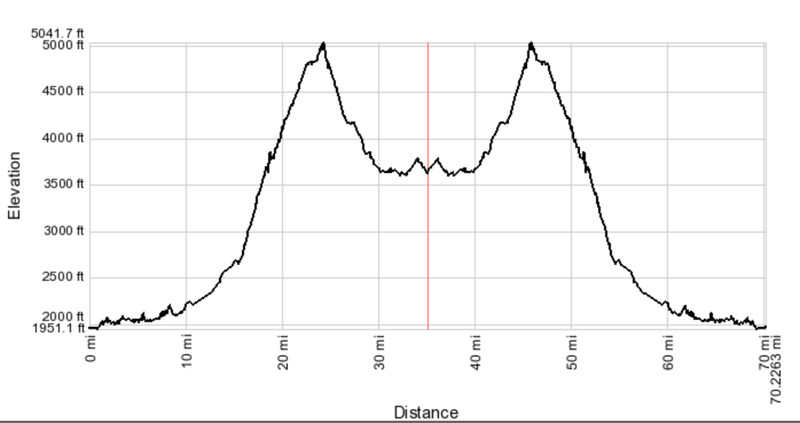 The out and back ride is about 70 miles, with thousands of feet of climbing. My Cyclemeter phone app said it was 6,400 feet of climbing, although looking at the Google Map profile this seems a bit high (Google says 5,958 feet.) Either way, it’s a good ride with a lot of climbing. From Ina and Oracle Road, drive 59 miles north along Oracle Road (Highway 77), past Oracle, to Winkelman. I parked half a mile further up Highway 77 in a big paved parking area on the right. From here ride about 35 miles to Globe. The climb starts gently but eventually steepens, with some wonderful views. At the top of the long climb you now have a 6 mile downhill and you wonder what it will be like to climb this on the way back. There is some rolling terrain before you reach Highway 70. Turn left and ride about 3 miles into Globe. I refueled at McDonalds before heading back. The 6 miles of climbing back to the summit are tough but not quite as bad as you feared on the way down. From the top it’s a long downhill then some rolling terrain back to the car.